Pfister has created the design that you are looking for at a very reasonable price point. With decades of experience, allow Pfister to be the manufacturer that creates beauty and style in your home. This Pfister Roman Tub Rough-In Valves, designed specifically for Roman Tub Faucets, comes in polished chrome to create a beautiful aesthetic in your bathroom. 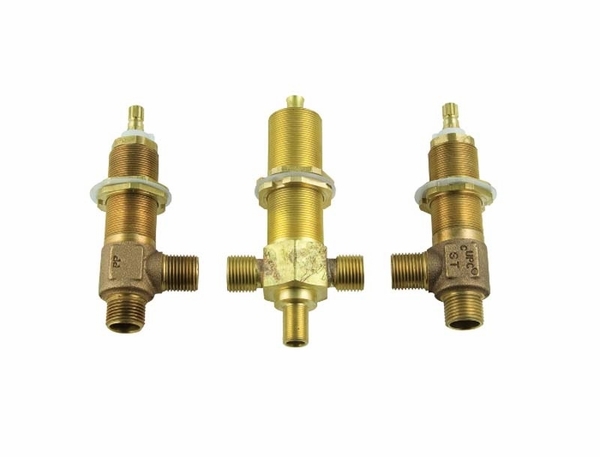 This Pfister Roman Tub with Rough-In Valves comes with a 4-Hole Installation and uses 1/2" copper sweat connections. All Pfister Pfirst products come with the exclusive Pfister Pfirst Warranty. This warranty covers the exterior metal and functionality of your tub valves for life.